EXCLUSIVE [PHOTOS]: Rabbi Fishel Todd, the Jewish Endorser of Chaplains to the US Military, and Executive Director of Pirchei Shoshanim, was a guest at the dedication and ribbon-cutting ceremony this Monday of the Spirit of Fort Hood Warrior And Family Chapel Campus dedication ceremony and Fort Hood, Texas. 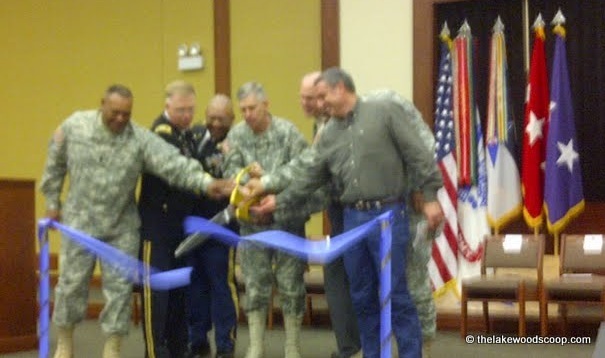 The Spirit of Fort Hood Warrior and Family Chapel Campus is the dream brought to reality of the Garrison Chaplain, Chaplain (Colonel) Franklin Jackson. 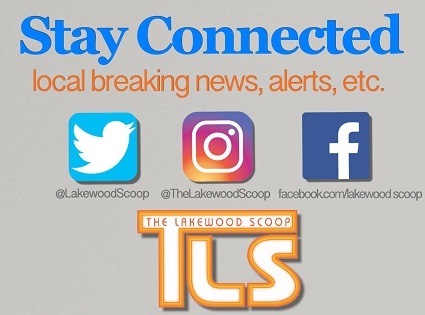 “Colonel Jackson has done all that is possible for Chaplain Lans to make a smooth transition in order for him to lead the Ft. 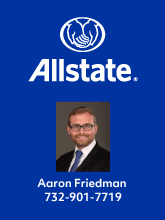 Hood Jewish Community over the next few years”, says R’ Fishel. 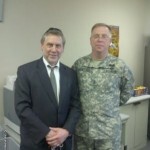 Chaplain Moshe Lans, the Jewish Rabbi at Fort Hood, is a Musmach of Pirchei Shoshanim and recently returned from more than a years tour of Duty in Afghanistan. His wife, Laurie, also served in Afghanistan for the Navy as well as being a Lay Leader for Pirchei Shoshanim. Also attending the ceremony, was the III Corps and Fort Hood Commanding General, Lieutenant General Donald Campbell Jr., who has offered all his help in assisting the Jewish Soldiers by accommodating all their Jewish needs. 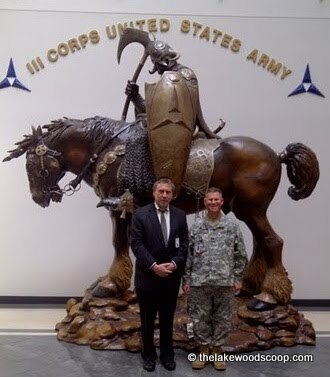 Pictured with R’ Fishel, is the United States Army Chief of Chaplains Major General Donald Rutherford, who flew in from Washington D.C. for the event. General Rutherford took on the new position only 3 weeks ago. R’ Fishel Todd tells TLS he had deep discussions with the General about the general moral in the Army and the concern over the ever increasing number of suicides in the Army, which last month alone reached the unprecedented number of 32. In 2009, an Army psychiatrist opened fire at Fort Hood, killing 12 people and wounding 31 others. 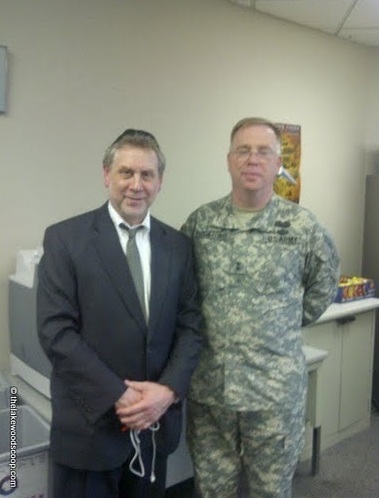 Yeshiva Pirchei Shoshanim is the endorser of Frum Chaplains to the United States Armed forces with over 20 chaplains throughout the Army, Navy, Air Force and National Guard. With the nations divorce rate at 50% and the Army at 75% due to the pressures of war, the Army has formed a program entitled Strong Bonds, designed to provide moral support to the troops. Pirchei Shoshanim, says Rabbi Todd, is developing special learning material to help augment this program from a Torah Perspective. (Rabbi Todd adds, that Chaplain Captain Moshe Lans is seeking volunteers for Rosh Hoshana and Yom Kippur to help and be part of the Minyan in the largest army base in the world with 50,000 active soldiers at this instillation alone. His email address is mark.lans@us.army.mil). TLS.